“Traditional” vs. “Design and Build” Contracts: What’s the Difference? Ever seen a shopping mall, or a hospital, or a school, and wondered how an empty piece of land came to house an entire building? Behind the scenes of the buildings that we see in every day life lies a complicated process of construction – from designing, to bidding, and finally, to building. There are many ways to carry out this process. Apart from the traditional way, a method that is increasingly being used is the Design and Build method. The number of Design and Build contracts have been increasing over the years, as project owners have sought to try out new ways of developing and building their projects. Although the Design and Build method does have its benefits, it also has several limitations. Between traditional contracts and Design and Build contracts, which is more appropriate would depend on the case at hand. Nonetheless, this article seeks to give you a brief preview of a Design and Build contract, the elements that form the typical Design and Built contract, as well as the benefits and limitations of the Design and Build method. What is a Traditional Contract? Before delving into what constitutes a Design and Build contract, it might be helpful to understand in the first place what is a traditional building contract. Broadly speaking, the traditional approach has three stages. First, the design stage. At this stage, the project owner works with an architect or designer to come up with a design for the building. Second, the bidding stage. At this stage, several potential contractors will tender bids on the pre-decided design. This means that they will submit their proposals to the project owner, who will then decide which contractor he wants to construct the building. Finally, at the construction stage, the actual construction of the building will take place by the contractor who won the bid, in line with the original design. What is a Design and Build Contract? In contrast, there are two key differences between a traditional contract and a Design and Build contract. The second stage, i.e. the bidding stage in the traditional contract becomes the first stage in the Design and Build contract. The first and third stages in the traditional contract are meshed into one ongoing process in the Design and Build contract. This means that the project owner will first select an entity with design and constructions capabilities to undertake the project. This process of designing and constructing often happens at the same time, and may overlap with each other. This method has several implications. First, this method of having one entity be both the designer and builder means that there is more potential collaboration and synergy between the designing and building aspects of the project. Having the same entity in charge of both design and building also streamlines the traditional design-bid-build method. Finally, it makes things easier for the project owner because this means that the project owner now has only a single point of contact. The design-builder is now the only person accountable to the project owner for any defects or flaws in the project. This is as compared to the traditional method where there are many parties involved, from designers to contractor to several sub-contractors, and the project owner’s claims process is thereby significantly complicated. What are the elements of a Design and Build Contract? There are three primary documents that are used in a standard Design and Build contract: employer’s requirements, contractor’s proposals, and a contract sum analysis. This is created by the project owner and effectively constitutes an outline design. The employer uses this document to set out precisely what he wants. Thus, although the design-builder is in charge of designing the project, the employer is still required to provide a certain amount of design input from the outset. This document is created largely for the reference of the design-builder, in order to aid him in coming up a contractor’s proposal (see below), and also to facilitate the accurate pricing of the design-builder’s works. This is a document prepared by the design-builder, which responds to the employer’s requirements. In this document, the design-builder will set out a more detailed design, based on the employer’s requirements, which will require to further developed throughout the course of the project. Essentially, the proposal shows how the design-builder intends to satisfy the employer’s requirements. What are the benefits of a Design and Build Contract? Minimizes risk and improves clarity: this method helps to minimize risks for the project owner because it reduces the number of points of contact. Now that there is only one point of contact – the design-builder – there is also only one point of responsibility. The project owner does not take the risk that there are multiple parties he will need to sue, or that he will not be able to tell which party is at fault for a particular defect or flaw. As such, it also clarifies the remedies available to the project-owner, because there is only one party who could be liable. Saves time: this method reduces the delivery schedule by overlapping the design and construction phases of a project. Thus, the building can be designed in phases, such as the design evolves as the construction ensues. This is particularly appropriate when the project owner is faced with a tight schedule. Saves money: this method also saves money for the project owner. With only one entity to hire, there are fewer overhead costs to bear, simpler and fewer legal and managerial responsibilities, and a decreased possibility of litigation and with fewer parties. Encourage innovation and a more holistic approach to construction: this method also encourages the design-builder to take more innovative and best-value approaches to designing and constructing the building. This is only possible because all the members of the project team – the designer, the contractor – come together early on in the process to address potential issues that may arise in the future. This also reduces the risk of design errors, which take more time and money to rectify later on. Moreover, since the contractor is also the designer, the design can be easily customized to suit the actual site conditions. What are the limitations of a Design and Build Contract? May not produce expected result: because the design and construction phase occur simultaneously, there is no fixed design to refer to at the start of the project. Thus, the ultimate outcome may differ from what the project owner has in mind, especially if the employer’s requirements and contractor’s proposal are not sufficiently precise to make sure that both project owner and design-builder were on the same page. However, this can be dealt with by slightly modifying the Design and Build method – the project-owner can develop a more detailed preliminary project design beforehand, so that the contractor has a clearer idea of what the project-owner wants. Lack of expertise: there is also the possibility that because the entity no longer specializes in either designing or construction, but has to be proficient at both, this may compromise the level of expertise of the design-builder. For example, this is especially concerning if the project requires particularly complex designs. If the design-builder is primarily a contractor rather than a designer, he may not be able to achieve more complex designs or push himself to the limit of the project’s design potential. That being said, the design-builder does sometimes sub-contract out certain tasks. For example, if the design-builder is primarily a contractor, he may sub-contract or hire adesigner to assist him in the work. Project-owner may lose out: another potential drawback of the Design and Build approach is that the project-owner may lose out, in terms of quality with ultimate outcome. Typically, the designer and contractor represent different perspectives in the construction process, where the designer usually interprets the project owner’s vision through the design. Where the designer and contractor become the same person, they no longer operate as counterweights to each other, and the architect’s vision could appear to favour the contractor. However, this could be managed by the project-owner hiring an agent or consultant to assist him in overseeing the project, if the project-owner lacks the technical expertise to supervise. If you are looking to enter into a construction agreement, or are deciding between a traditional contract and a Design and Build contract, you can get a Quick Consult with Stephen Wong or lawyers with similar expertise. With Quick Consult, a lawyer will call you back within 1-2 days for a transparent, flat fee of S$49 to answer your questions and give you practical legal guidance on your potential next steps. This article is written by Stephen Wong from Sterling Law Corporation and edited by Leanne Cheng from Asia Law Network. What constitutes acceptance of a contract? What Is A Breach Of Contract? What Can You Do About It? Stephen was called to the Bar in 2011. He started his practice in criminal law for two years and is currently focused on commercial law and family law. His current practice includes work on areas such as disputes resolution, litigation, franchise agreement, shareholder agreement, divorce, wills, probates & trust. He also has experience in the building and construction industry where he handles cases such as security of payment, billing of construction and litigation. Stephen is passionate about the startup space and advises them on structuring shareholder agreements, exit strategies and many more. Smart contracts – can code ever be law? 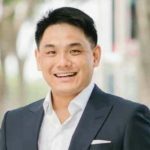 What are Distribution Agreements in Singapore?